Has your dentist told you that you need to have a tooth pulled? Understanding all you can about the various types of tooth extractions (and tooth extraction costs if you have no dental insurance) can eliminate any uneasiness you may have about your visit. 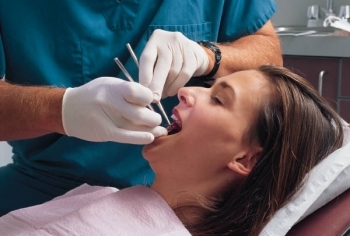 How Much Does it Cost to Get a Tooth Extraction? On average, tooth extractions without dental insurance cost between $200 and $600. Getting a tooth pulled without insurance costs about $236 per tooth while a surgical tooth extraction can be between $407 and $619. Costs vary by type of extraction, where you live and the type of dentist you visit for the treatment. If you're in severe pain, pulling a tooth may be the simplest, cheapest and quickest way to find tooth relief. Your dentist may also recommend extraction if a damaged tooth cannot be fixed, or if fixing it is impractical (e.g. if it's extensively decayed below the gumline). Impacted teeth can have a negative effect on your overall oral health if not extracted in a timely fashion. Teeth that are extremely overcrowded can affect your ability to bite and chew properly. Depending on the severity of the procedure you need, anesthesia and/or numbing medication may also be involved. Here is some more information about each extraction. In a simple extraction, your dentist loosens surrounding gums to remove your tooth, grasping your tooth with forceps until it comes out. Your dentist will do a complex surgical extraction if there is no enamel showing above the gum line or if the tooth breaks off, leaving its roots still connected to the underlying bone. Removal of impacted teeth can be necessary if a tooth has not fully erupted through the gum. Because a tooth that is impacted can eventually result in more serious dental health problems, dentists usually recommend extracting them sooner rather than later. The dentist will make an incision into the gums around the tooth, creating a flap and then remove the impacted tooth through the loosened flap. What happens next depends on how much of the tooth remains above the bone. The extraction might be performed with the use of forceps as described above, or it could become more complicated. If the tooth is submerged below the bone or is lying on its side, the dentist must remove the surrounding bone to expose the tooth, then break it into pieces for easier removal. At the time of extraction, your dentist might also, for an extra fee, take steps to prevent bone loss and atrophy of your jaw. Wisdom teeth (or "third molars") are usually removed at some point. Even if they are impacted, they can become infected from germs from adjacent teeth. And if they do erupt fully, they can often cause overcrowding that can lead to pain and bite problems. This type of extraction can vary from a straightforward removal with forceps of a fully erupted tooth to complex surgery for a bony impaction. Find cheap wisdom teeth removal near you. Save on Tooth Extractions Today! Who Can Pull My Tooth? A general dentist or an oral surgeon can pull your tooth for you. Both have experience with tooth extractions. Some will argue oral surgeons are better for this treatment. It all depends on the dentist. For complicated tooth extractions, an oral surgeon may be better suited to handle the treatment. Just remember that an oral surgeon often costs more than a general dentist, but it may be worth the extra cost and require fewer trips since they generally don't service as many patients as a general dentist does and the patients that do come in are often there for similar treatments. Could I Pull My Own Tooth? At-home tooth extractions are highly discouraged. Regardless of its affordability, pulling your own tooth without proper training and tools can be very dangerous for you. It can end up causing you more pain and more expense in the long run, especially if you contract an infection from the extraction or break the tooth in the process. There are affordable alternatives to dental insurance that can save you money on a tooth extraction at the dental office. How Much Does It Cost to Get a Tooth Extraction with a Dental Plan? The cost of a tooth extraction with a discount dental plan can cost between $73 and $254 per tooth, depending on the type of extraction you need. A simple tooth extraction will be closer to $73 while a surgical tooth extraction may cost $254. Costs vary by location and the type of dentist you visit, as well. But the cost is comparatively lower than the cost without dental insurance. Many people who have no dental insurance opt to use discount dental plans such as the Careington Care 500 Series plan to cut the cost of dental treatments, including tooth extractions. This plan is nationwide, but check out the level of savings an individual living in California, New York, or Texas can receive with this plan, an affordable alternative to insurance. For the most up-to-date treatment prices in your area, please visit the 1Dental fee schedule and enter your zip code. Whatever the reason you need to get a tooth pulled, you can now enter your dentist's office armed with the knowledge you need to understand what's happening in your mouth. If you have no dental insurance, find cheap tooth extractions near you by using money-saving resources like our dental savings plans. Online research, as well as inquiring at your dentist’s office, can provide you with valuable pointers that can make paying for your extractions much easier. Do I Need Oral Surgery for My Wisdom Teeth? Can I Get Dental Coverage for It?